Wrinkles are the result of a combination of two factors: a tight radius, and pressure. 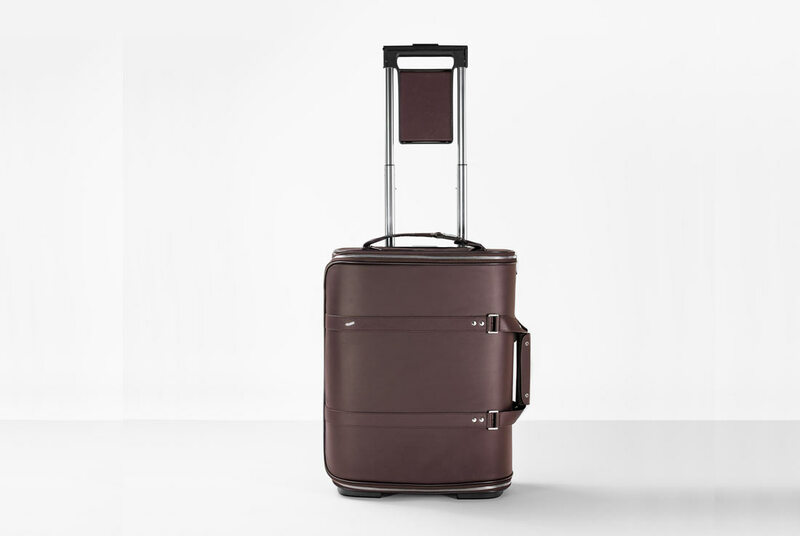 The patented VOCIER F38 Carry-On luggage avoids both these factors, and thus allows you to carry up to 2 suits wrinkle-free in a carry-on package. The suit is kept in a special protected sleeve that gently curves around the interior of the bag. For a fast security check, access to the luggage interior is provided via an opening at the top. Inside, a lightweight foam hanger is mounted via magnetic snaps. Additionally, the product features a patented handle with an integrated bag for small items. F38 looks classic and timeless and is made from tough impact-modified, fiber-reinforced plastics and genuine Italian leather.